1. 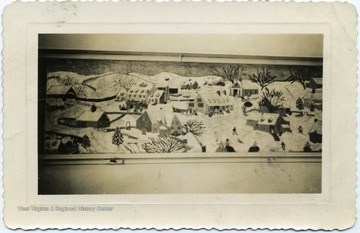 Painting of a Winter Scene on Storer College Campus, Harpers Ferry, W. Va.
Painting of a Winter Scene on Storer College Campus, Harpers Ferry, W. Va.
2. 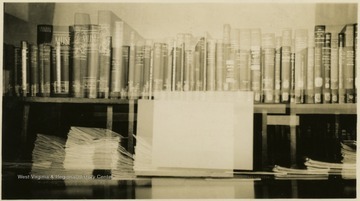 Double Exposure of a Bookshelf, Storer College, Harpers Ferry, W. Va. 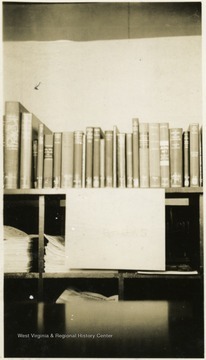 Double Exposure of a Bookshelf, Storer College, Harpers Ferry, W. Va.
3. Bookshelf, Storer College, Harpers Ferry, W. Va.
Bookshelf, Storer College, Harpers Ferry, W. Va.
4. 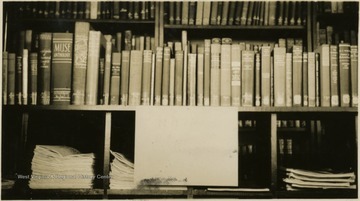 Bookshelf, Storer College, Harpers Ferry, W. Va.